At the newly opened Moxie Petites, it’s all about the petite woman. No longer do petite women have to feel limited to the “back of the store” shopping experience they’ve long been accustomed to. Moxie Petites is boutique shopping at its finest, offering fashionable ladies petite apparel in a warm atmosphere with personalized customer service. This is the place to find that chic holiday outfit you’ve been desperately searching for. “I am a petite woman, so I understand the wardrobe challenges of being stylish yet age appropriate,” admits owner Roxanne Dover. Even though they may all be less than 5’4”, Dover says she understands petite women have many different body types. 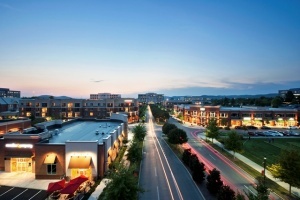 “Everything in the store has been selected with my customers in mind,” said Dover. Choosing the outfit, however, is just part of the Moxie experience. Moxie Petites also offers a unique selection of exceptional jewelry, accessories, handbags, leather belts and colorful scarves. You’ll also find great gifts like bath and body products and wonderful, aromatic candles, along with a full line of Beija-Flor premium denim. 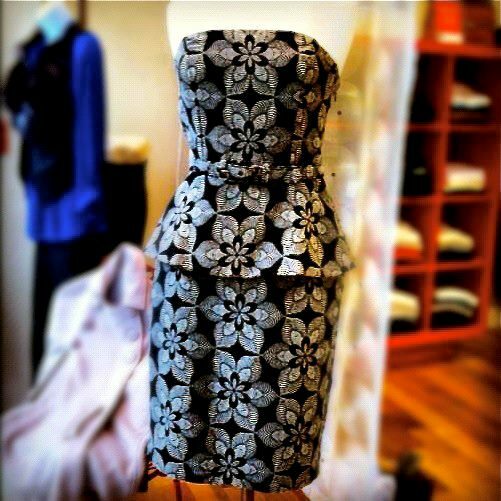 Visit Moxie Petites today, or call Roxanne at (615) 979-1430. Shopping hours are Monday through Saturday 10 a.m. – 6 p.m. and by appointment. Visit us at www.moxiepetites.com. Friend us at www.facebook.com/moxiepetites. Take a break from your holiday shopping, relax and enjoy at Nucci’s Gelato and More, a quaint Italian café. A family owned and operated business since 2007, Nucci’s offers not only over 100 delicious flavors of gelato and more than 30 flavors of Italian ice, but a wide variety of other tasty café items. Nucci’s wide menu selections feature delicious Panini sandwiches, scrumptious soup and healthy salads that will surely please you. And don’t worry; Nucci’s foods are gentle on the waistline. Nucci’s prides itself on offering low-fat, reasonably proportioned, yet highly flavorful Italian food and desserts. After your meal, enjoy Nucci’s authentic aromatic Italian coffee. Mmmm. So warm with a subtle burst of flavor – it’s sure to hit the spot. Especially when paired with a fine Italian dessert! 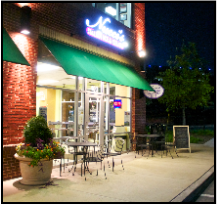 Voted one of the top two frozen desserts for the last five years in the Toast of Music City, Nucci’s Gelato and More is located at 2000 Meridian Blvd., Suite 100, (615) 567-6187. Hours of operation are Monday through Saturday 11 a.m. – 9 p.m. Visit us at www.nuccistn.com. Jersey Mike’s Subs has a national reputation for delicious submarine sandwiches, and the Meridian location won’t disappoint with its fresh ingredients, friendly staff, and efficient service. You’ll find premium-grade cold meats that are sliced at the time of ordering and freshly baked bread each day. Have your sandwich prepared just the way you want it with your choice of meats, cheeses and fresh vegetables. Savory grilled and hot sub selections are also available to help warm you up on a cold winter’s day. Did you know Jersey Mike’s offers low-carb and gluten-free alternatives too? If you’re in a hurry, order online and your meal will be ready upon arrival. Simply log onto www.jerseymikes.com. Make hosting a holiday luncheon a breeze this year by using Jersey Mike’s catering services with complimentary delivery. Catering options include sub sandwiches in a bag, platters or lunch boxes. Call (615) 472-1741 or log onto www.jerseymikes.com and place your order today. It’s quick and easy. Let Jersey Mike’s do the work for you! Jersey Mike’s is located at 1175 Meridian Blvd., Suite 110, (615) 472-1741. Hours are Monday through Friday 10 a.m. – 7 p.m.; weekends 11 a.m. – 7 p.m.